Valentine’s Day is right around the corner. On the big day (Thursday, February 14), there everything from cost-effective nights out, decadent buffets and super fancy set menus. Here's a roundup of some of the best dining promotions for a romantic dinner in Shanghai this year. 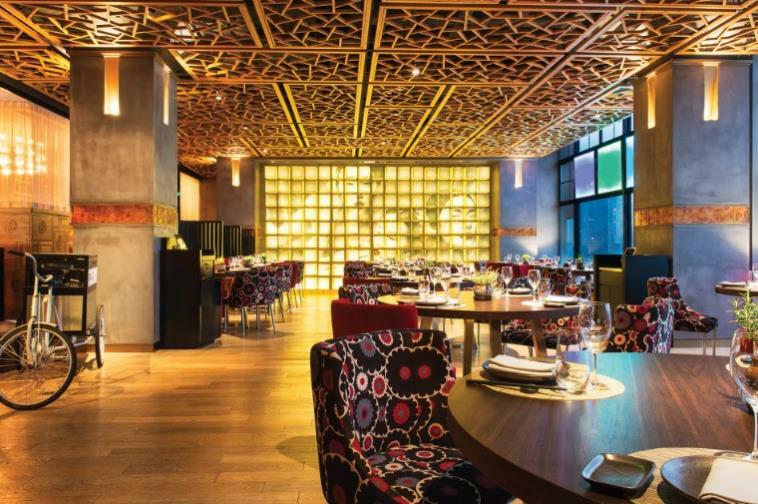 Azul is serving up a special Valentine's Day set dinner for two, with a special sensual menu. Indulge in tapas to share, including winter tomato and prawns salad, black truffle mushroom croquets, pan-seared foie gras and cornbread and more. For dessert, enjoy warm chocolate chip pudding and lovely pink macarrones with Champagne sauce. Priced at RMB488 per couple. Feb 14, RMB488 per couple. Azul Tapas Lounge, see event listing. The Bull & Claw will be serving a five-course Valentine's Day menu this year. Diners will be treated to freshly shucked David Herve oysters on arrival, followed by dishes such as roasted scallops with crispy pork belly and black angus M5 fillet with lime salsa verde and asparagus. The meal will be finished off with a Belgian chocolate tart for dessert. Feb 14, RMB999 per couple. The Bull & Claw, see event listing. Canton Table at Three on the Bund presents a special Valentine’s Day Menu featuring traditional Cantonese delicacies with a modern twist. Come and celebrate this romantic moment with a ten-course Valentine’s Day dinner, priced at RMB1,999 per couple (prices subject to 10 percent service charge). Advance booking is required, call 6321 3737 for bookings. Feb 14, RMB1,999 per couple plus 10 percent service charge. The Canton Table, see event listing. Treat your loved one to a romantic Valentine's Day with a special South American-style dinner at Colca. Priced at RMB688 per couple, the menu includes delacacies such as sea bass tiradito, acevichado roll plus octopus and ribeye steak from the josper. For dessert, enjoy a Peruvian alfajor and "White Chocolate Love." Feb 14, RMB688 per couple. Colca, see event listing. The casual steakhouse at IAPM will serve their ‘Be My Valentine’ menu of contemporary fare, perfect for relaxing the night away. Your night begins with a couple of welcome drinks and starters such as Fine de Claire No.2 oysters, red tuna tartare with beetroot reduction, duck foie gras terrine, followed by the main event Black Angus beef tenderloin and grilled jumbo shrimp with spiced red sweet chili gravy. For dessert, you and your sweetheart will be treated to “Lady Asia” panna cotta (flowers coulis, berries jelly and lychee), as well as fondant that oozes with love. The meal is priced at just RMB1188 per couple, with guests who book in advance receiving a rose and take-away photo memento to mark the occasion. Feb 14, RMB1,188 per couple. THE CUT Steak and Fries, see event listing. D.O.C. Gastronomia Italiana presents a five-course Italian Valentine's Day sharing menu including a bottle of Villa Sandi Prosecco on arrival. Enjoy arugula salad with pear and truffle honey, black squid ink spaghetti with seafood and, of course, tiramisu and two glasses of limoncello to finish off this romantic dinner. Feb 14, RMB888 per couple. D.O.C. Gastronomia Italiana, see event listing. When only the ultimate romance will do, opt for the exclusivity of a luxury romantic getaway at the Four Seasons, which is offering several Valentine's Day dining promotions at its restaurants. Camelia is serving up a six-course set menu including a glass of Pol Roger Champagne (priced at RMB988 plus 15 percent service charge per person) with luscious dishes Sifonata Di Patate made with black truffle, potato chiboust and crispy Parma ham chips as wll as the ultra-juicy and flavorful “M5” Beef Tenderloin Rossini. They also promise desserts so sweet they will have you drifting off into a world of seduction. 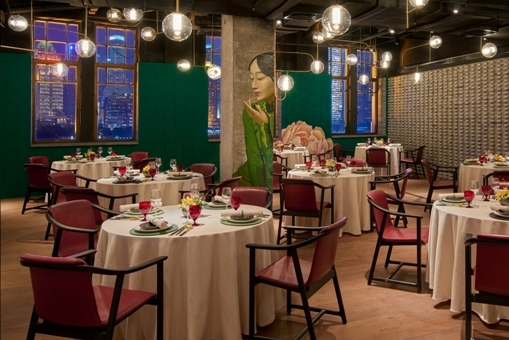 Their award-winning Chinese restaurant Shang-Xi also presents a special set menu, featuring classic Cantonese cuisine, including a dim sum selection, double-boiled cucumber soup, steamed baby lobster and more for RMB1,088 net per person. Room and spa packages also available. A two-night stay even includes two tickets for a romantic dinner cruise. For reservations and additional information, call 2036 8888. Feb 14. RMB 998 plus 15 percent per couple, Camelia at Four Seasons Hotel Pudong, Shanghai, see event listing. Feb 14. RMB 1,088 plus 15 percent per couple, Shang-Xi at Four Seasons Hotel Pudong, Shanghai, see event listing. At the Hilton Shanghai Hongqiao, they know that love and romance doesn't look exactly the same for everyone. That's why they have put together a range of romantic surprises including dinner and elegantly thoughtful decorations and flowers. Choose from an unforgettable four-course meal at Pulse Bar crafted from fresh, carefully-sourced premium ingredients with a 'Be My Valentine' set menu priced at RMB888 net per couple or 'Charm Your Valentine' sumptuous dinner buffet consisting of the freshest seafood, sashimi, dessert as well as popular Chaoshan hotpot for RMB688 net per couple. The buffet can be paired with a wide selection of beverage options including sparkling, beers, wines and soft drinks and both options come with two glasses of complimentary Mumm champagne. Because whether you are in love, single or it's complicated everyone deserves a good meal. Feb 14. RMB688 or RMB888 net per couple. Hilton Shanghai Hongqiao, see event listing. 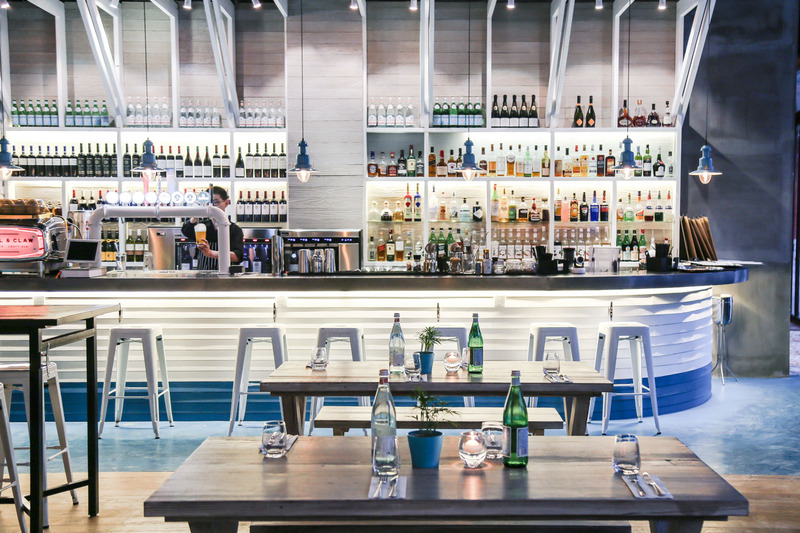 Treat that special someone to a Valentine's Day meal at Hooked. For RMB300 per person, you'll enjoy marinated Italian olives and bread on arrival, followed by split pea soup, grilled sea bass or crab ravioli, plus creme brulee for dessert. Add RMB320 for a bottle of Gerard Bertrand Cote des Roses wine. Table bookings are essential, call 6333 2198 for reservations. Feb 14-15, RMB300 per person. Hooked, see event listing. Make this Valentine’s Day truly special with memorable fine dining at one of the Michelin-recommended restaurants at the Kerry Hotel Pudong. The MEAT presents a Valentine’s Day set menu capped off with a romantic Tiramisu Sphere for all ladies—on the house. Menu highlights include hamachi with caviar, foie gras with rose and beef (of course) with truffles. Following creative desserts, 'A Box of Love' featuring eight kinds of pastries and rose-leaf inside a wooden box awaits. Take advantage of this gorgeous presentation and hide your Valentine’s Day gift for her or (gasp) engagement ring inside. Feb 14, RMB580 plus 16.6 percent service charge. The MEAT at the Kerry Hotel Pudong, see event listing. Enjoy a six-course meal with your loved one at Mia Fringe. After welcome glasses of Pierre Chainier Rosé Séduction Brut, you'll indulge in dishes such as French tarbouriech oysters with Campari white wine vinegar sauce, lobster bisque with croutons and asparagus shrimp risotto with parmesan cheese. The menu also features a dessert platter with rose mousse with cherry sauce, champagne cream with almonds and vanilla ice cream with fresh berries. Feb 14, RMB1,288 per couple. Mia Fringe, see event listing. Three restaurants at The Middle House will be serving the most romantic sharing menus for couples to enjoy together. At Café Gray Deluxe, enjoy a four-course set menu dinner with a choice of two dishes for each course and two complimentary glasses of Charles Heidsieck champagne. Italian eatery Frasca will serve special 'his and hers' five-course menus for couples, along with two complimentary glasses of sparkling wine. Chinese restaurant Sui Tang Li's fabulous seven-course menu includes two welcome cocktails. Feb 14, RMB798 per person. Café Gray Deluxe at The Middle House, see event listing. Feb 14, RMB999 per couple. Frasca at The Middle House, see event listing. Feb 14, RMB1,688 per couple. Sui Tang Li at The Middle House, see event listing. Moménti has put together a six-course set menu for Valentine’s Day. The set includes an amouse bouche and a starter selection of foie gras, buffalo mozzarella, parma ham, arancini and bruschetta. The entree is a black truffle and porcini soup, and first course is spaghetti lobster, followed by a main course of beef striploin with potatoes and vegetables. Dessert is white chocolate mousse with a strawberry and hazelnut crumble. The menu is for two to share and comes with two glasses of Prosecco. Feb 14, RMB688. Moménti, see event listing. Known for its contemporary French cuisine interpreted by Paul Pairet, dazzling views of Shanghai’s harbor and skyline, and warm, heartfelt ambiance Mr & Mrs Bund is the natural choice for Valentine's Day. As part of the delightful experience, diners are invited to a choice of sharing menus starting priced at RMB988 per person. Choose from signature Paul Pairet dishes: Long Short Rib Teriyaki PP, Jumbo Shrimp in Citrus Jar PP and Black Cod in a Bag PP followed by enchanting desserts. Fine French champagne specials and pre-arranged flowers are available to sweeten the occasion. Feb 14, from RMB988 per person. Mr & Mrs Bund, see event listing. Head to Art 50 Revolving Restaurant for a romantic dinner with your Valentine. The restaurant at Novotel will be serving a grand buffet full of mouthwatering food. Enjoy your dinner with two complementary glasses of house wine and fantastic live music. For the ultimate romantic gesture, gift your loved one with a special Valentine's package priced at RMB1,299. It includes the buffet dinner as well as a one night stay at Novotel and a buffet breakfast for two on the following morning. Feb 14, RMB598 per couple. Art 50 Revolving Restaurant at Novotel, see event listing. The Peninsula Shanghai offers a collection of memorable experiences to share with loved ones this Valentine’s Day. Guests can enjoy a gourmet eight-course dinner at Sir Elly’s, including dishes such as ocean-fresh oysters with beef tongue and ginger dressing or turbot confit and lobster, along with a glass of rosé champagne on arrival. There's also a picture-taking station with a complimentary immediate printing and framing service on The Peninsula's famous rooftop helipad. Feb 14, RMB1,988-2,338 per person. 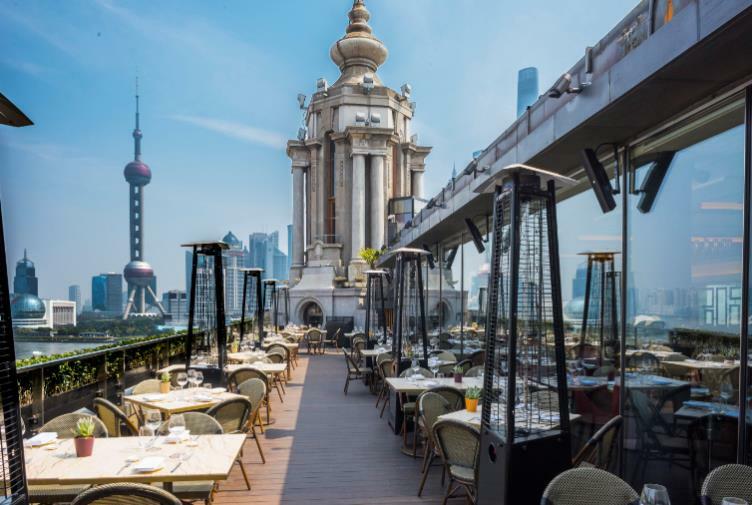 Sir Elly's at The Peninsula Shanghai, see event listing. Bring your loved one to POP to share a joyful and romantic moment with their special Valentine's Day feast and glorious Bund views. Enjoy a four course "Romantic" menu for RMB688 per person or a six-course "Exclusive" dinner for RMB888 per person. For RMB 88 add one glass of Perrier-Jouët to either menu. Mains include Maine lobster and scallop duo, grilled Wagyu beef ribeye and more; dessert is also included. Advance booking is required, call 6321 0909 for bookings. Prices are subject to 10 percent service charge. Feb 14, RMB688-888, plus 10 percent service charge. POP American Brasserie, see event listing. Embrace the romantic mood at The Portman Ritz-Carlton on Valentine's Day and spoil your loved one with an exceptional candlelight dinner buffet at Portman's restaurant. Valentine’s Day diners will be served a special menu that features a sumptuous array of continental and pan-Asian delicacies. Guests will also get a complimentary glass of Moët & Chandon Rosé to make this a night to remember. Feb 14, 6-10.30pm, RMB448 per person. Portman's at The Portman Ritz-Carlton Shanghai, see event listing. Contemporary Chinese restaurant Puben will be celebrating Valentine’s Day with a RMB268 Moët & Chandon mini champagne special, setting the mood with complimentary rose on table upon arrival. Those looking to indulge can also enjoy Puben's 'A Huang Pu Romance' sharing menu made for two. It includes celebrity chef Jereme Leung's signature Dali rose ice-cream presented theatrically billowing with smoke. Guests will also receive an instant framed photograph as a take-away memento of the romantic dinner. Feb 14, RMB999 per couple. Puben by Jereme Leung, see event listing. Phénix Eatery & Bar at The PuLi Hotel and Spa is offering a delicious Valentine's menu this year. Expect delectable dishes such as superior oscietra caviar, Jerusalem artichoke and vanilla soup, Patagonian toothfish as well as Buffalo curd sorbet with mandarin and thyme. Feb 14, RMB888 per person. Phénix at The PuLi Hotel and Spa, see event listing. Two restaurants at The Shanghai EDITION will be providing selections of wonderful Valentine's Day food. Shanghai Tavern's dinner for two includes lobster arancini, half a dozen oysters, beef tartar, BBQ scallops, seabass with peas 'a la Françoise', beef tenderloin, baked alaska, rose and raspberry parfait, chocolate ice cream, cinnamon short bread, vanilla custard, and more. HIYA will be serving house made snacks, a chef’s selection of sashimi, Alaskan king crab, roasted mushroom miso soup, Brittany monkfish karaage, sanchoku Australian wagyu shortrib, Sakura cherry, Coeur de Guanaja ice cream and many other romantic dishes. Feb 14, 5.30pm, RMB658 per person. Shanghai Tavern at The Shanghai EDITION, see event listing. Feb 14, 5.30pm, RMB928 per person. HIYA at The Shanghai EDITION, see event listing. 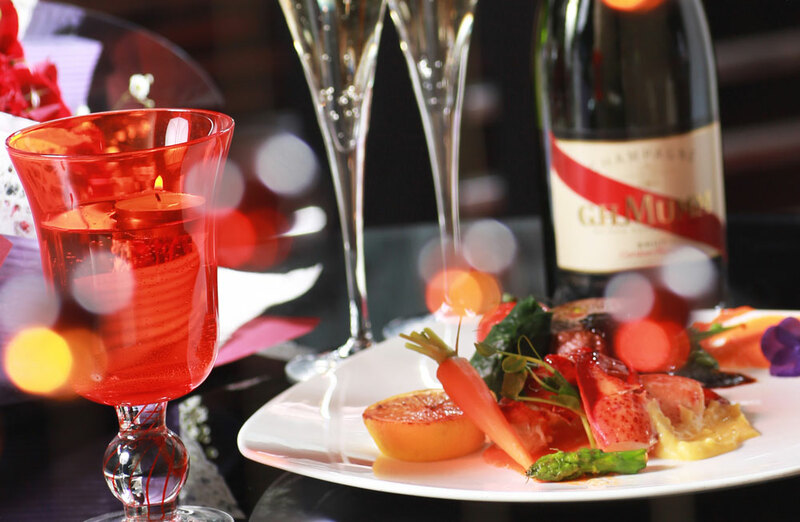 Enjoy a fabulous five-course meal with your beau on Valentine's Day at Shanghai Slims. Priced at RMB888 per couple, the menu includes New England clam chowder, followed by prime ribeye and Norwegian salmon with asparagus. Finish the meal off with the chef's special dessert: a delicious chocolate mousse. The sumptuous set also includes one bottle of Prosecco. Feb 14, RMB888 per couple. Shanghai Slims, see event listing. The Sukhothai Shanghai is celebrating the most romantic day of the year with festive dining specials in two of its restaurants. In the elegant atmosphere of Italian restaurant La Scala, guests can enjoy a five-course dinner featuring San Daniele ham, handmade ravioli, carnaroli saffron rice, pistachio crusted tuna loin and a sweet dessert of rose and honey Chantilly cream with balsamic biscuits and dark chocolate. Included in the price is also a bottle of premium Prosecco. URBAN Café, on the other hand, offers a Southeast Asian Valentine's Day menu with delicacies such as grilled beef salad, coconut prawn curry, seared black cod and a rich chocolate lava cake with mixed berries and chocolate ice cream. If you're still craving something sweet, you can walk over to The Sukhothai's café Beans & Grapes where pastry chef Lisa Qiu has prepared a series of Valentine's Day-themed desserts. Feb 14, RMB1,288 per couple (icluding a bottle of Prosecco). La Scala at The Sukhothai Shanghai, see event listing. Feb 14, RMB468 per couple (including two glasses of Prosecco). URBAN Café at The Sukhothai Shanghai, see event listing. Show your love by treating your significant other to a classic Valentine’s Day Dinner at Stone Brewing. Indulge in spicy salmon tartare accompanied by baby leaf salad, followed by creamy asparagus soup with Parma ham. The feast continues with tender herb-crusted angus beef tenderloin in port wine sauce and ends on a sweet note with rich lava sea salt cheesecake. 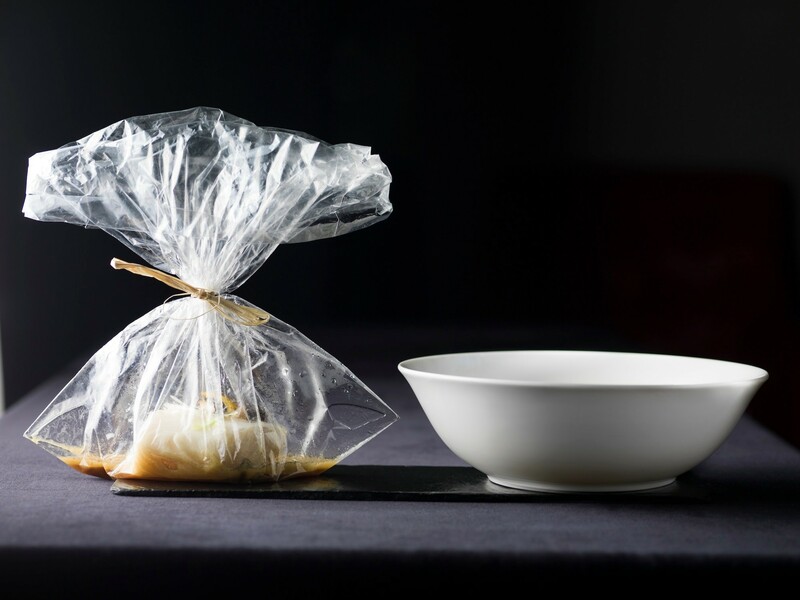 Add just RMB80 more for beer pairings tailored to each course. Feb 14, 5pm, RMB388 per person. Stone Brewing Tap Room, see event listing. Celebrate love at French-Asian restaurant Together. Their chefs have put together a six-course sharing menu for this special day. The dinner includes pistachio crispy prawns, beef tenderloin wellington, citrus miso marinated black cod and dark chocolate and peanut ice cream with a rasberry crumble. Feb 14, 6-10pm, RMB888 per couple. Together, see event listing. Urban Thai has designed a great value Valentine's set menu with nine dishes to share. Expect Thai fish cakes, Australian mussel salad, tom yum soup, grilled Australian lamb with green curry, deep-fried tamarind fish, BBQ chicken, coconut pudding and more. The menu is a Thai food lover's dream and is accompanied by your choice of a bottle of sparkling wine or two fresh coconuts. Feb 14, 5.30pm, RMB488 per couple. Urban Thai, see event listing. Five venues at the Waldorf Astoria have sweet promotions for you to enjoy with your sweet. At Pelhams, enjoy an intimate five-course Valentine’s Day dinner complete seared duck foie gras, Wagyu beef bourguignon, a special Red Apple dessert, wine pairing and more. If your significant other prefers Chinese cuisine, Wei Jing Ge has an eight-course dinner prepared by famous Hong Kong chef – Sam Yuen. Expect an amorous array of dishes, including sautéed lobster with ginger and chives, braised sea cucumber, sautéed red snapper plus each couple will be presented with a special set of customized chopsticks to serve as a keepsake. There's also Grand Brasserie's luxurious buffet (with welcome 'Love Potion' cocktail and white swan-shaped desserts), romantic afternoon tea sets at Salon De Ville and Peacock Alley or champagne and oyster packages at the Long Bar. Feb 14, RMB1588 per person. Pelham's at the Waldorf Astoria, see event listing. Feb 14, RMB688 per person. Wei Jing Ge at the Waldorf Astoria, see event listing. Feb 14, RMB799 per couple. Grand Brasserie at the Waldorf Astoria, see event listing. Feb 14, RMB688 per couple. Salon De Ville and Peacock Alley at the Waldorf Astoria, see event listing. Feb 14, RMB1099 per couple. Long Bar at the Waldorf Astoria, see event listing. Celebrate your love at The Westin Bund Center Shanghai this Valentine’s Day and indulge in a collection of romantic dining experiences. Choose from a romantic four-course Italian dinner at Michelin Plate restaurant Prego for only RMB888 per couple, or indulge in a sensational seafood buffet feast at The Stage for RM898 per couple. Feb 14, RMB888 per couple. Prego at Westin Bund Center Shanghai, see event listing. Feb 14, RMB898 per couple. The Stage at Westin Bund Center Shanghai, see event listing. Brunch is no longer exclusive to early Sunday afternoons. This Valentine's Day, The Kitchen Table at W Shanghai will be throwing an after-dark Brunch with a vibrant array of beverages, food and live music performances. Guest can choose from two food and drink packages. The 'Soak it in' is priced at RMB598 and includes a selection of raw and cured food, BBQ and desserts as well as wines, bubbles cocktails and brews. If you're looking for something even more memorable, upgrade to the 'Live it up' package at RMB788 which also includes unlimited Veuve Clicquot Champagne. Feb 14, 7-11pm, RMB598-788. 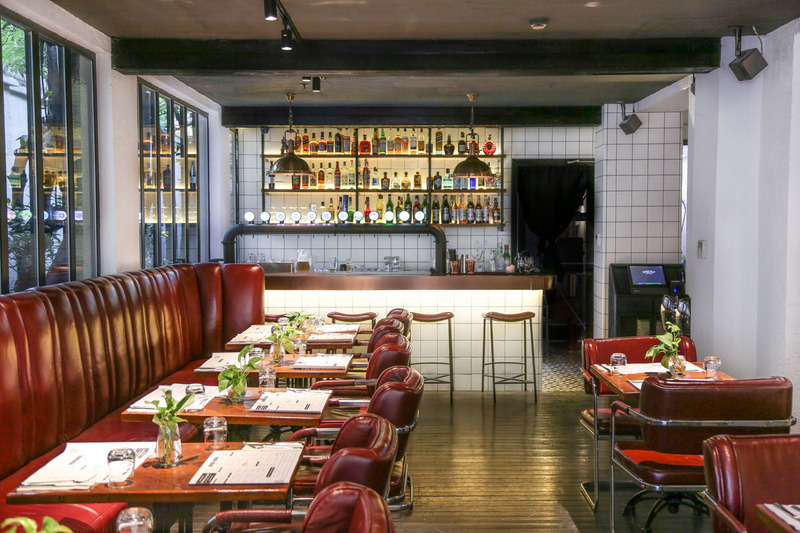 The Kitchen Table at W Shanghai, see event listing. All couples who order one of Xibo's special Valentine’s Day desserts will automatically be in the running to win awesome prizes from the restaurant and their various partners. Choose from white chocolate lemon mousse with orange sauce for RMB58, chocolate mousse with vanilla rose sauce for RMB68 and raspberry chocolate surprise for RMB52. Book your tables now for an intimate evening at Xibo between and win some great prizes. Feb 14, 5.30-9.30pm. RMB52-68. Xibo, see event listing. For more Valentine's Day events in Shanghai, click here. If you have your own Valentine's Day promotion to add, upload it to our site through our User Center. It's free, it's easy and it's the best way to get into one of our Event Guides. With traditional Chinese Valentine's Day coming up, here's where to celebrate a romantic day for you and your loved one. 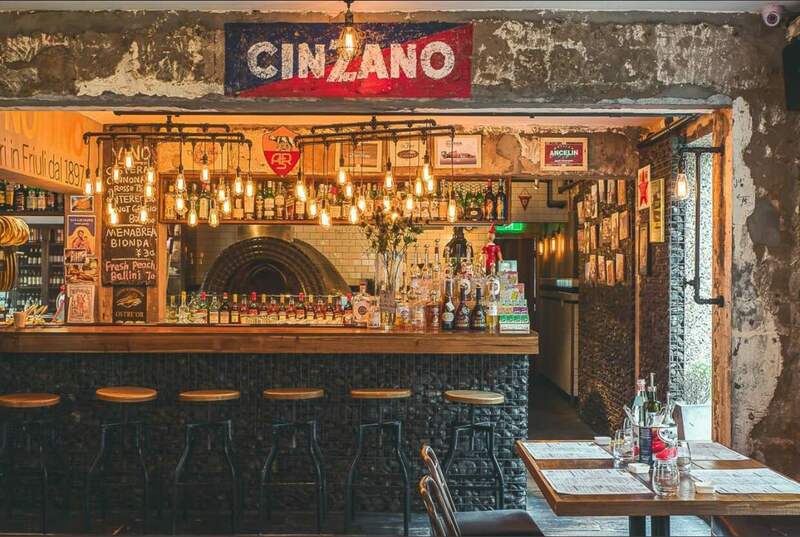 For those of you who aren't interested in doing the whole romantic Valentine's Day dinner thing, there are a few drink deals and parties going on around Shanghai this Wednesday. 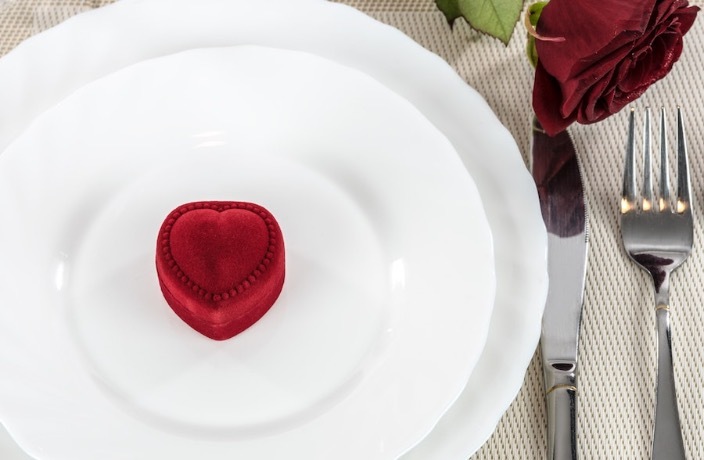 Here's a roundup of some of the best dining promotions for a romantic Valentine's Day 2018 dinner in Shanghai.